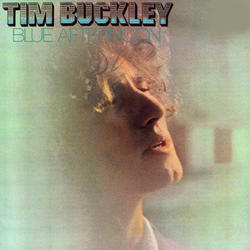 Originally released in 1969 Blue Afternoon is Buckley's fourth album and his first for Frank Zappa's Straight label. Continuing with the jazz inflected folk-rock he first unveiled on his previous release, Happy Sad, Buckley's songs on Blue Afternoon are complimented by classy arrangements featuring vibes player David Friedman and Lee Underwood's beautifully understated guitar work. A classic and long out of print work from perhaps the most unique American singer-songwriter of the 60s and 70s. Deluxe reissue on 180 gram vinyl in a gatefold sleeve.